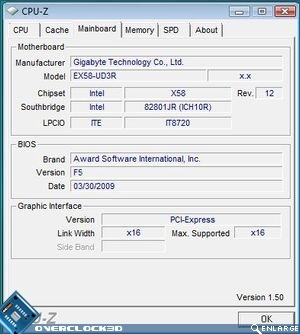 During the testing of the setup above, special care was taken to ensure that the BIOS settings used matched whenever possible. 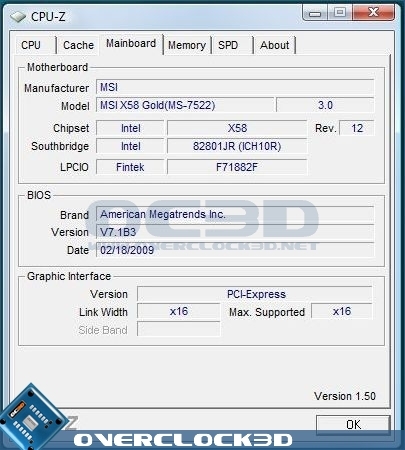 A fresh install of Windows Vista was also used before the benchmarking began, with a full defrag of the hard drive once all the drivers and software were installed, preventing any possible performance issues due to leftover drivers from the previous motherboard installations. 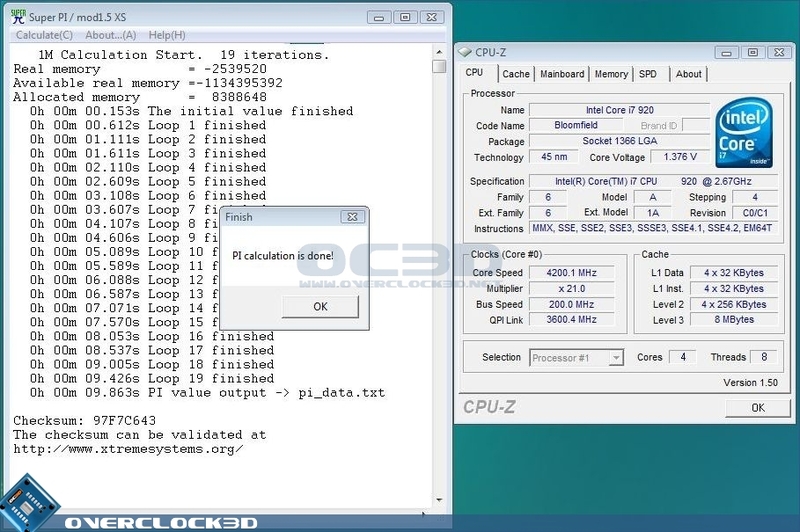 For the 3DMark and gaming tests a single card configuration was used. 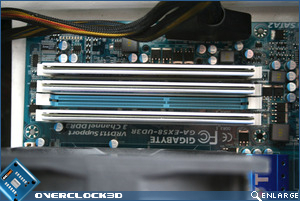 As you can see from the pictures above, clearance should not be an issue for either over sized CPU heatsinks or memory modules. 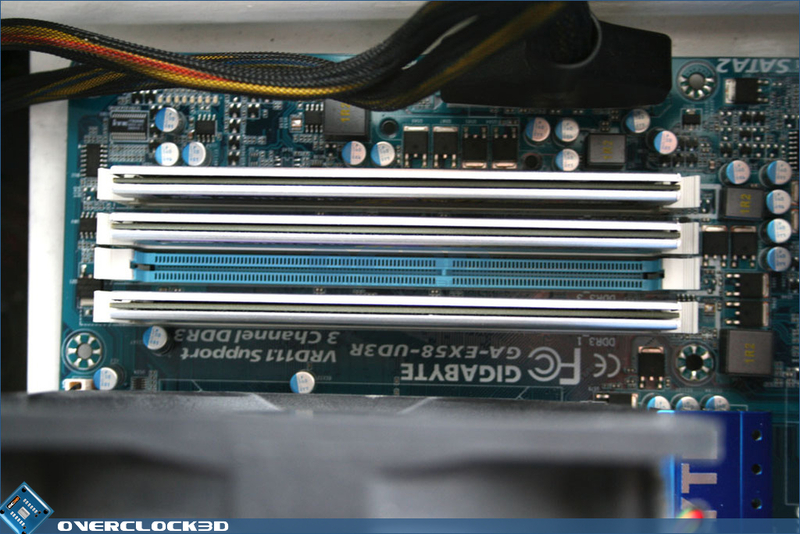 With the UD3R only catering for four memory slots there is plenty of room around the modules should you wish to add additional cooling. Looking at the memory area, I can only assume Gigabytes reason for not including six memory slots was a cost cutting exercise as this is a sparse area of the motherboard with only a couple of capacitors obstructing the area. 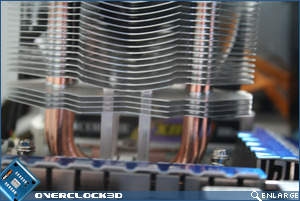 Power consumption is an aspect often forgotten when it comes to enthusiast motherboards but in todays climate, with rising utility bills special consideration needs to be taken when choosing you components as over a period of time, one components can prove to be much more expensive than another over its lifetime. Power consumption was measured at the socket using a plug-in mains power and energy monitor. Idle readings were taken after 5 minutes in Windows. 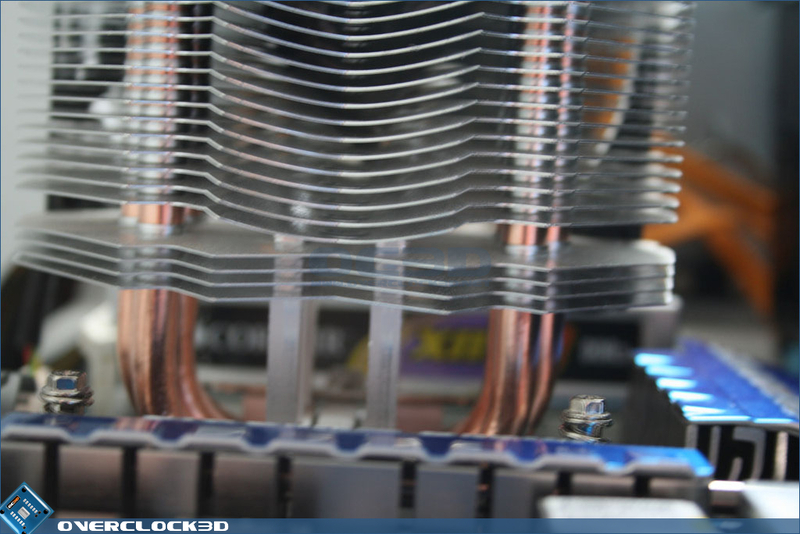 Load readings were taken during a run of 3DMark Vantage. 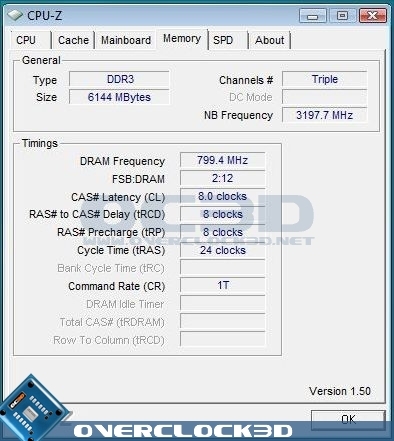 As with the majority of motherboards on test, specifically the other Gigabyte motherboards, the UD3R topped out with a maximum overclock of 4.2GHz, confirming my earlier suspicions that this is indeed a CPU limitation rather than a motherboard. There have however, been a few boards which have surpassed this value slightly but by no great margin. 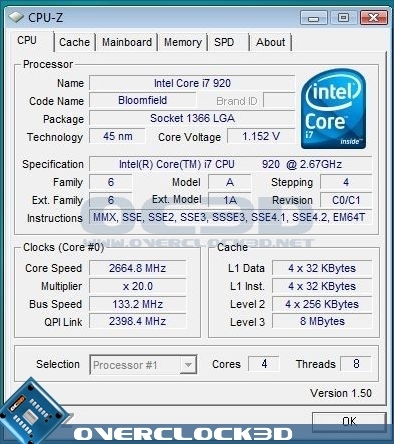 BIOS recovery was very good, with the motherboard resetting itself back to stop settings but withholding the failed settings in memory for you to adjust slightly rather than resetting the whole BIOS. 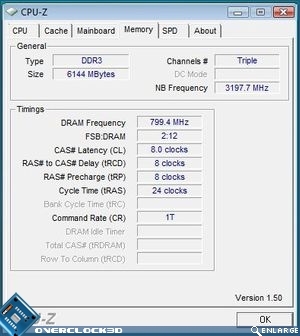 This is a good little feature of the Gigabyte boards which saves both time and patience when attempting those high clockspeeds. On no occasion was I required to use the on-board jumper to reset the BIOS which is an achievement in itself as the Gigabyte boards were by far the best at recovering from failed overclocking attempts. Vdroop was minimal with 0.024v differential when under load, despite having loadline calibration enabled. 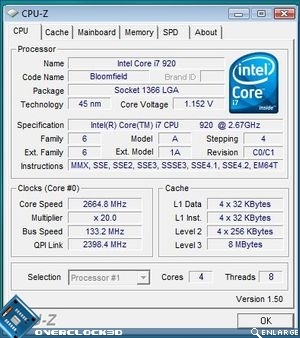 Vdrop was pretty much none existent at 1.4v set in the BIOS. Considering the kind of systems u can still buy with 775 and get an equal terms use out of it. Performance on a par.